Under the new Myanmar Companies Law 2017, foreigners can now buy equity in Myanmar. This will open Myanmar to a new wave of increased foreign investment that has not been experienced since the enactment of the Foreign Investment Law in 2012. Thura Swiss, Larive’s affiliate in Myanmar, takes you through the highlights and consequences below. The new Myanmar Companies Law 2017 (Pyidaungsu Hluttaw Law No.29) (“MCL”) passed on 6 December 2017 and implemented on 1 August 2018, replaces the century-old Myanmar Company Act 1914 (“MCA”). The MCL modernizes Myanmar’s corporate framework and provides new opportunities for local and foreign companies that didn’t exist under the MCA. This is a great win for “local” and “foreign” investors in Myanmar. The MCL has been in the draft stage for around three years. 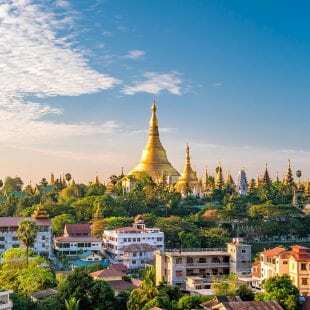 Under the MCL, foreigners can now buy equity in Myanmar companies and Myanmar companies have greater access to foreign capital. This couldn’t come at a better time as Myanmar companies in need of capital can now expand their businesses easier with foreign collaboration. Have the option of drafting customized company constitutions providing they do not breach the MCL. Larive and it’s Myanmar-based partner Thura Swiss expects a significant uptick in Foreign Direct Investment (“FDI”) and M&A activity, notably in segments of Myanmar’s economy which has been largely off limits to foreign investors in the past, such as banking, distribution, trading and insurance. Under the MCL all existing companies, branches and representative offices will be required to re-register with DICA within 6 months of 1 August 2018. Furthermore, a company must have at least one director that is a resident in Myanmar for at least 183 days per year. There is no requirement that this director is a Myanmar citizen. The Myanmar Companies Law 2017 will bring new business opportunities for Dutch companies in Myanmar. Larive-Thura Swiss can guide your company on new investment, business and regulatory processes in Myanmar. For more information, please contact Matthias Brienen.